I once went 72 hours without eating😯. REALLY, liked my food. lol. Fasting is a way to get our body back to its native state. Our ancestors didn’t have readily available food from a grocery store, they hunted and gathered food. Our bodies have evolved and were made to survive without food for extended periods of time. 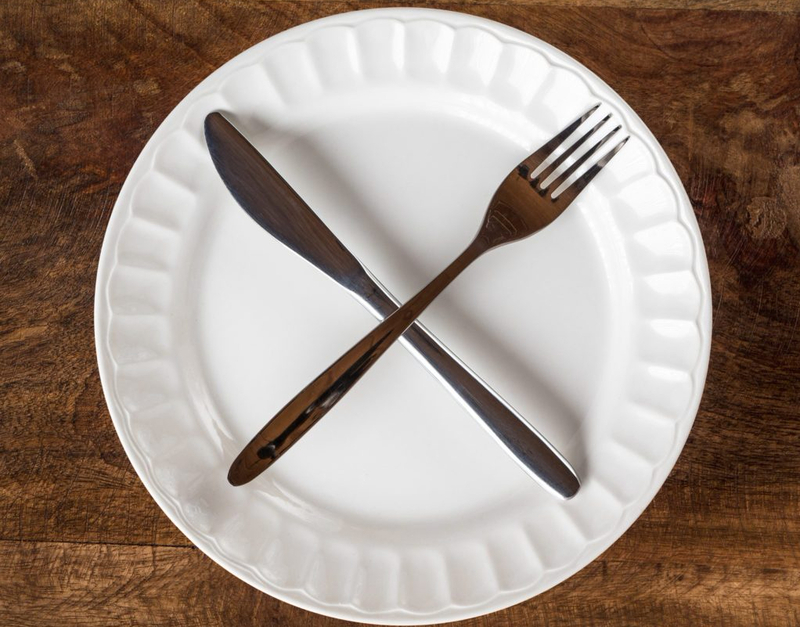 Fasting can be difficult and it is not for the faint of heart. You really have to venture into it with the proper mindset and tools or it can be difficult to be successful. We get asked a lot of the same questions about fasting and thought it might be helpful to sort out the answers. What is an extended fast? Extended fasting typically means abstaining from food intake and maintaining minimal calorie intake for multiple days at a time. There are different kinds of extended fasts people choose to do. These include a vegetable juice fast, bone broth fast, intermittent fast, a food fast, and so on. When I do an extended fast, it can range from 24 to 72 (longest I have gone, some people do it for a week or more) hours of not eating. I do consume lots of water, ketones, electrolytes, pink Himalayan salt and sometimes black coffee and now we have the option of rebooting with a kit that allows you to sail through 60 hours of fasting and totally reboot your metabolic state. With an extended fast you can really allow your body to slip into a deep state of ketosis and eat its own unhealthy cells. There are many benefits to fasting and everyone has a different reason for pursuing a fast. Personally, we fast for the health benefits that come with it. Some people choose to fast for religious reasons, to heal the body, to detox, to reset their metabolism and boost metabolic health, or because they have hit a weight loss stall, and then others still, just to truly find out what they are made of and prove they can. With fasting, you can really experience a breakthrough with your body. Fasting unlocks the healing within. During an extended fast your digestive system is given the chance to rest and reset. Fasting allows our organs to rest so they can work properly. If you are someone who is very overweight, you can really burn a lot of fat during a fast. Once the body runs out of glucose then it begins to burn fat. When you come off the fast and stick with the ketogenic way of eating the weight will stay off. 4. Detoxification: your body is able to rid itself of toxins during a fast, which helps to improve digestion and leaky gut. Like cleaning out the garage your body goes and cleans up the mess, in turn, allowing your body to heal. 5. Dramatically reduce inflammation and boost stem cells. Stem cells help with the anti-aging process and fasting has been shown to relieve inflammatory diseases, such as arthritis. 6. Break habits and addictions: some people overcome the habit of eating just to be eating or other unwanted habits. Many are able to decrease sugar cravings and increase the desire for healthy foods. 7. Weight loss: many people use fasting to overcome stubborn weight loss stalls. 8. Tumor reduction- there is even research showing the reduction of tumors through fasting. What can I have while fasting? Hydration is so important in general, especially during fasting because that is when your body needs it most. Increase water intake to no less than Half your body weight in oz, typically it is best to stick to 75% of your body weight in ounces during the fasting window. Getting additional electrolytes during a fasting state is super important to avoid muscle aches, cramping, and weakness. You can use water with electrolytes, pickle juice, or electrolyte packets to ensure you are maintaining a good electrolyte balance during a fast. You will want to limit caffeine intake during a fast and if you do drink coffee try to keep it black or very minimal in caloric intake. We recommend having a tsp of MCT oil in it to help energy levels and hunger. The body needs a way of replenishing essential electrolytes lost during a fast and pink Himalayan salt has the trace minerals you need. It helps with cramping and fatigue and has some incredible benefits in general. Our company has given us a groundbreaking way to reboot and reset our body through a 60 Hour Reboot. With this metabolic reset, you will find all of the tools we use to complete 60 hours of fasting and become a metabolic boss. Have we always fasted with ketones? No, not always. My husband and I both have fasted with nothing but faith and water to get us through. I will tell you, from personal experience… that stuff is for the birds! You truly see what you are made of during a fast, especially one without ketones. Adding pure therapeutic ketones in the mix truly changed my ability to successfully complete a fast and actually feel pretty amazing doing so. Should I start out the ketogenic diet with fasting? Sure. There is nothing that says you can’t. It is best to start a fast after eating clean for a few days with limited carb intake so, while you can totally jumpstart and complete a fast after living a carb filled life, be prepared that it does make it a bit more difficult because the detox stage is usually more severe. Should I exercise during an extended fast? We encourage light to moderate exercise during fasting to burn up glycogen stores quicker, which in turn, increases the speed at which the body changes fuel sources and uses your stored fat for fuel instead. Exercise also improves insulin sensitivity. What should I eat when breaking an extended fast? After fasting it is best to eat whole, natural, unprocessed, real foods found in nature and to avoid processed foods. Your body will remain in a deep state of ketosis if you continue to follow the ketogenic lifestyle. More tips on breaking an extended fast can be found here. We are not medical professionals and at no time should the information included herein, be taken as medical advice. Always check with your medical practitioner if you have health concerns or before making dietary changes.